"Will actually never need to build an API again"
Fastest and easiest API Management tool my department has ever used. We used DreamFactory to build the REST APIs we needed for a series of projects and were able to save tens of thousands on the developer hours it would have taken otherwise. The UI is also very easy and made our particular use case involving turning SOAP services to REST a dream. Once we configured server side scripting it our SOAP to REST translation automatically for us. Support has been fantastic! Erik, one of the engineers there, has been notably excellent. I dislike that we didn't find DreamFactory earlier! The Open Source is free and functions just like commercial versions. Try it out! As above really - but we have delivered our SOAP to REST project to onboard a large customer over 2 months early and integrated our new database, MemSQL, weeks ahead of schedule. We have also I would say started to achieve real productivity gains through having all our data within reach through a single interface. "DreamFactory is like the Ruby on Rails for APIs"
DreamFactory provides you commercially ready APIs instantly via what I guess you could call an API Framework. Many of the decisions are made for you, and intentionally so. Building APIs is mundane and involved, so a tool that moves you through this process fast by automatically providing best practices allows our team to focus on higher value add tasks. DreamFactory is also very lightweight and fast for a full lifecycle API Management tool. By that I mean that you don't need to firstly incorporate an enterprise message bus that realistically requires its own full time developer. As DreamFactory is ROA based, you don't need to worry about this. The API orchestration afforded by DreamFactory is also fantastic. The ability to incorporate multiple, unrelated data sources in single API calls enables us to develop some great services that would otherwise be cumbersome. The UI is a little dated, but this in no way takes away from the functionality. Some of the documentation was a little lacking (the wiki), but the new guide that has just been released has been a fantastic resource for us on how to leverage the solution to its fullest. Have a call with them. We had a senior engineer on the first call, so fitting our need to their solution was very easy. We digitized our quality assurance process in our manufacturing plant from a previously paper based system using DreamFactory in combination with AppSheet (AppSheet for the front-end). This mobile application using dynamic forms and plugging live data from multiple systems saved a big time delay for our production line, and also reduced duplicated data entry & human error. We additionally had a number of legacy data sources that we modernized, especially moving from difficult SOAP APIs to standardized REST APIs. "Easy and effective. Database integration in lightning speed"
APIs are built for you - and not just any APIs. Fully documented, fully secured (OAuth, LDAP, Active Directory, SAML Integration...) and accessible through a 3rd party client. Very easy to import Active Directory. Very easy to create roles with appropriate limits. Logging functionality great as well. UI isn't very pretty, but its an 11/10 on functionality, & productivity. 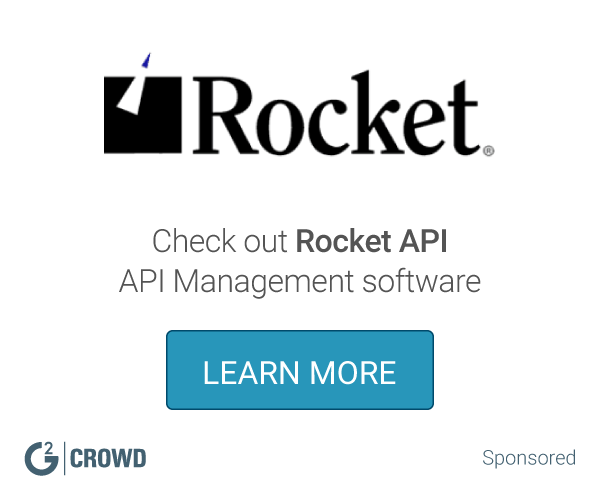 Think of the true cost of DIY APIs & the cost of other API Management tools. For us, DreamFactory cost in a year what an API team would have in a month, and what slower API Managers would cost in 2 months. For us it was a question of what was the best way to build our new apps. Our APIs would honestly have taken 6-8 (expensive) developers a few months to build or was going to take me and my organic team longer - but we would have to stop everything to do it. I have built APIs in the past and it is messy and never finished on time - so DreamFactory's solution of instantly creating and deploying the APIs for a fraction of the cost of that development team, and a fraction of the cost of what we would be giving up to do organic development, was a no-brainer. Dreamfactory is super easy to configure new endpoints in. Connecting to both closed and open source dbms is easy and the consistent way of exposing endpoints take make libraries of code really easy to reuse. The support is also really good - often just a few second on chat. The hardest part are the upgrades. For a mission critical app, downtime needs to be minimal. The upgrades certainly don't require much downtime, but it does .ean we have to do upgrades off hours. They provide excellent support and are will to work with you to get your environment set up. Even for free users, the forums are pretty good. Rapid application development, secure data communication . DreamFactory has saved us countless development hours by providing an extremely easy way to bridge our data sources. Before we replaced our homegrown solution with DreamFactory, we constantly had to make code updates on our end. Now it all happens behind the scenes without any manual intervention. One feature that we didn't know existed at first is the abiliity to write you own transformation scripts/routines. You can think of it as a the "T" layer in a ETL process, but applied directly to your API. This was our original concern with using DreamFactory, but after seeing they had this already bulit-in, it washed all our concerns away. They have this stuff set up really well. We haven't run into any issues with the product yet. It's a pretty intuitive UI so all of our team members have been able to get up and running pretty quickly. They have an OSS version of their software. I recommend giving it a spin. We have many disparate data sources that we need to eventually aggregate into an API, and a lot of transforming that needs to happen as well. This is all plug-n-play with DreamFactory. "Build a REST API on any database with no coding!" The full documentation and testing features of the API Docs section of the software. It allows even a novice user to spin up Postman and start experimenting. It is truly one of the best features of the package. Current pricing is a bit high for the enterprise level connections. Going from open-source and free to use to tens of thousands of dollars is a big wall to climb. If you really need an API that's robust and very detailed to access your hard to obtain or virtually inaccessible data, DreamFactory will probably ease your pain considerably. Oracle, SAP, SQL Server, SQL, MySQL, and many more become REST API's with a snap. Once installed, there is very little configuration and then you have users, permissions, roles, and the ability to write custom scripts in your preferred language that do even more. I can't describe in just a few words how powerful this software is. A problem we've overcome is the ability to make legacy and third party data available to our web development team form our internal ERP system. The benefits are being realized nearly every day that we discover something new. For instance, we have now realized that we can pipe in other REST services or even SOAP services and output them in a consistent and normalized way using DreamFactory's services modules. Want to serve up MS-SQL to a custom React project? Knock yourself out. Thinking of doing iOS development on top of an Oracle DB or SAP? Do it. The sky is the limit. The kind of ease with which it provides API automation capabilities is superb! It makes almost all the automation task free from much required very difficult and complex development activities. There was once some issue while integrating data from mobile applications. However, it was resolved later and from then has been working fine. It might be some interface issues in the beginning. A must try for any organization which is trying to ease its automation. In today's scenario anyways if you want to beat competition and stay ahead you need to leverage data and make your systems as efficient as possible. Dreamfactory makes that work a lot easier so that the company can focus on more strategic issues and helps the organization to grow much faster! Our company is a growing at a much faster pace and we aim to occupy the top spot in the logistics industry in the country. To achieve this, we rely heavily on data and leverage automation as much as possible especially while dealing with the regulatory issues. "DreamFactory : APIs made Awesome"
A smart and easy way to create APIs. No need to code and develop from scratch. Makes a lot of work a lot easier. The tool helps save a lot of time and energy. Data integration is a little tricky process. And once there was also a complaint regarding security breach. It would be great if dashboard has more options. I would recommend using DreamFactory to develop APIs in an extremely simple manner and gain advantages from that. Its one of the most reliable tools to do the same. A must software to help your technology team succeed at a faster rate and get ahead of competition. We are a logistics company who leverages technology to stay ahead of the competition. We used to develop applications from scratch and it used to take a lot of time. But after using DreamFactory the work became extremely simple and APIs could be developed in just almost no time. It helped us move ahead especially with online forms filing work and saved a lot of fines for the organization. "Dream Factory REST API in Seconds ? Yeah that's True !!" 2. Security is the main concern for anyone whoever you name it from a serious developer to Enterprises DreamFactory handles it in a very decent way. 3. Compare to DreamFactory - 1.0 user interface got improved in DreamFactory-2.0 (Yes this means a lot for me !!) which reduced a lot of mismanagement while working with admin related stuff. 4. Ready made installers for every cloud provider and for local development this made my life easier. Technical Support team irritated us a lot though we have contacted DreamFactory only once that was a bad experience. we have used DreamFactory for 2-3 web and mobile applications it not only reduces amount of work done for setup,installation but improved our team productivity. "Simple API solution for tough DB access problem"
Simplicity - DreamFactory's easy API solution to put on our db's makes life really easy. Gets us our data quickly and easily. Honestly, there's not a lot I don't like. Things can always be a bit easier, a bit simpler, etc., but overall they do a great job. Accessing our data in multiple random databases. Just a few clicks and cut-and-paste of Swagger-based API endpoints definition to create a serverless custom API endpoints. The editor to write serverless function to handle endpoints does not support versioning, and there is no advanced real-time error checking feature. dreamFactory takes out control of your API and data source and file storage if there a security problem with the system it's your entire data is in danger. but there is no problem so far. quick deployment for big projects. it made release management simple. The Form Factory Application was very easy to learn and with just a small amount of training. Easy to use and can be a good replace to Conga Merge which is NOT free. Support via email was very quick and resposive to my needs. Not much .. fairly basic though. I fyou are looking for hig end form creation, then this is not the tool. Definitley worth the try, especailly since it's free. Install in your sandbox and see how far it takes you .. you won't be disappointed. * We monitor all DreamFactory reviews to prevent fraudulent reviews and keep review quality high. We do not post reviews by company employees or direct competitors. Validated reviews require the user to submit a screenshot of the product containing their user ID, in order to verify a user is an actual user of the product. Hi there! Are you looking to implement a solution like DreamFactory?